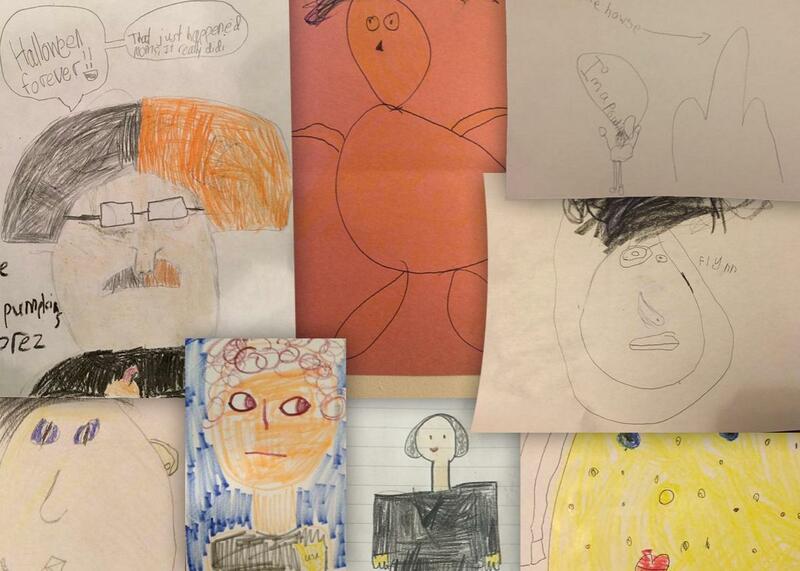 Kids draw what they think a president looks like. Ask a kid to draw one. Photo illustration by Slate. Drawings by Slate readers. On Slate’s parenting podcast, Mom and Dad Are Fighting, we’ve been talking to lots of parents about how they’re feeling about the election. One thing that amazes many parents is that their kids have never known a president who looked like the presidents in history books—and if Hillary Clinton wins, that’ll change the model for what a president can look like yet again. On our Facebook page, we asked listeners to have their kids draw “what a president looks like.” Some of our favorite results—plus a few from our own kids—are below. Ask your son or daughter or niece or neighbor to draw a president, and let us know what that kid comes up with! “Never gonna be president”: Hamilton superfan Lyra, age 11, drew Daveed Diggs as Jefferson.